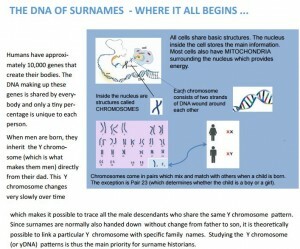 Thursday 27th Aug 2015, at 7.30pm in Mary Immaculate College, Limerick, Ireland, Dr Cathy Swift will give a lecture on historical Limerick surnames and new DNA techniques. Opportunity to win a DNA test! Its a free event, part of National Heritage week. We have access to millions of Irish Records.